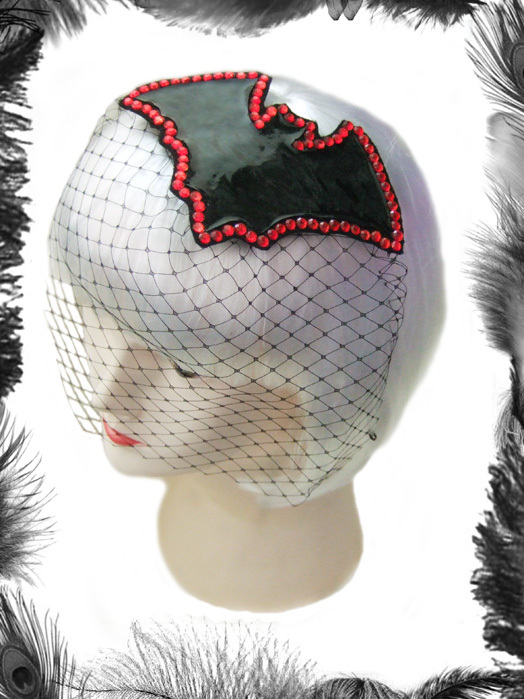 Gothic Pvc Bat & Rhinestones Fascinator with veiling. 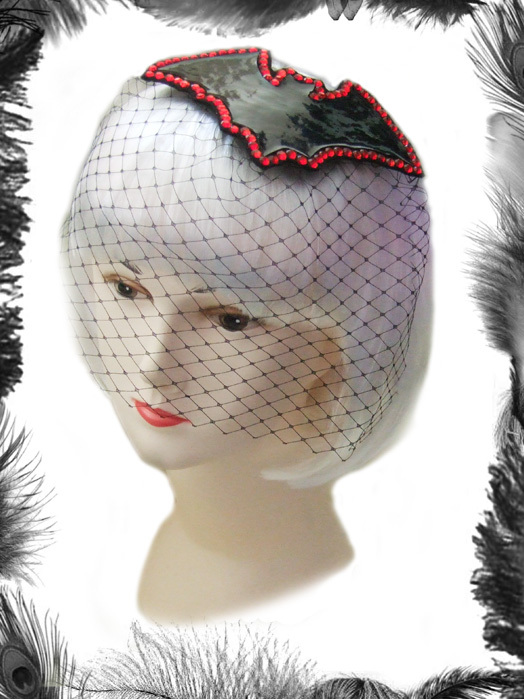 Large Pvc Bat surrounded by Rhinestones with veiling. Attaches to your hair with a hair comb. Many colour options available for the Pvc, Rhinestones and Veiling! Select below to have your own custom version! Bat Size: 14 x 10cm.